Our mouths come in all shapes and sizes, but over the counter stock night guards are made one-size-fits-all. This can prevent the guard from staying in place during sleeping or sporting activities, inhibiting its effectiveness. 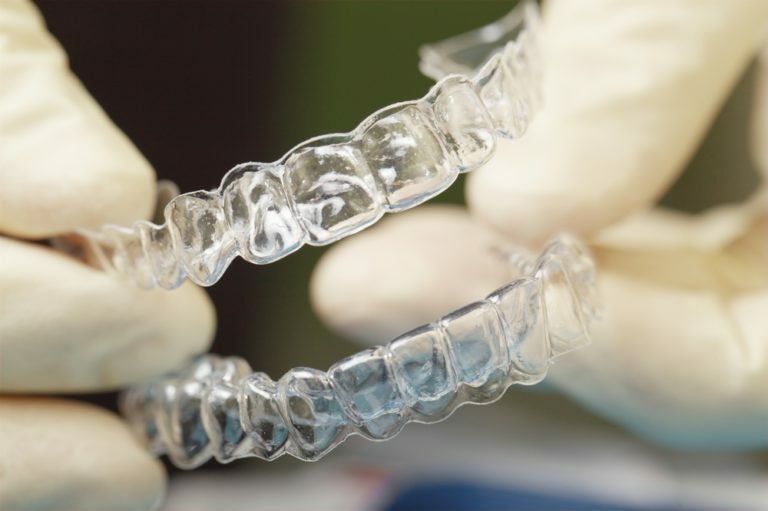 Custom made night guards from our New York, NY family dental office fit each patient perfectly, and stay in place when talking, sleeping, or playing sports. Wearing a guard during physical activities can prevent trauma to the teeth and in some cases protect against concussions. 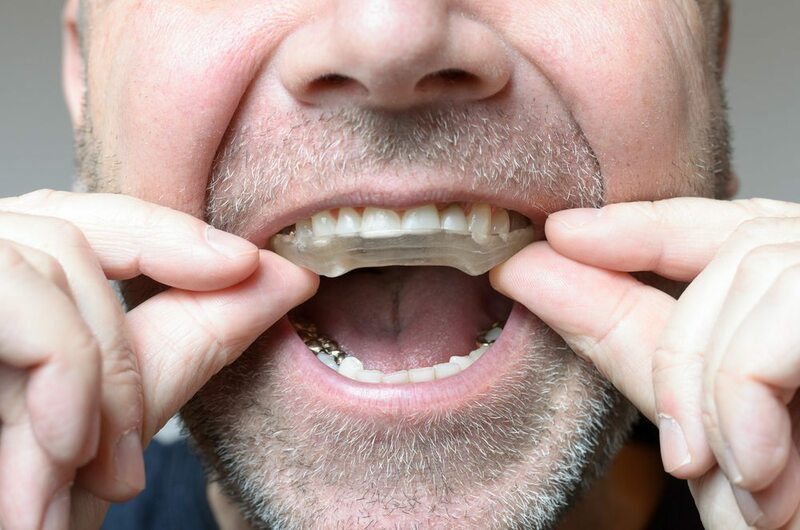 The American Dental Association recommends that a mouth guard be worn during all contact sports. Approximately 90% of sports injuries that affect the head involve the top, front teeth. (1) A custom guard will stay in place if trauma should occur, and prevent injury during a subsequent impact when a stock guard likely would not. Experts recommend using non-invasive therapeutic approaches to treating TMJ disorder, as surgical treatments such as disk replacement have a low success rate. (2) By making her patient’s a custom mouth guard to wear during sleep, our dentists can help the patient’s teeth set in a resting position, preventing muscle strain. This is done by special alignment of the teeth and jaw joint, through a specially fabricated mouthpiece. Many of Delaire Dental’s patients report improvement of their symptoms within just a few days. The use of a night guard can prevent the restriction of breathing during the night. Patient’s that visit our New York County family dental office can be fitted for a custom appliance that will promote quieter, sounder sleep. This appliance positions the jaw in a way that prevents the collapse of soft tissues in the back of the mouth, allowing the patient to breathe properly as they sleep.